Diane Browne has written over 40 stories/books. She has been published by Ginn in the United Kingdom; Harcourt Brace and Friendship Press in the USA; Heinemann Caribbean, Carlong Publishers, Arawak Publications, and the Ministry of Education in Jamaica. She has been a visiting author for the Students’ Encounter Programme at the Miami Book Fair, and has presented papers on children’s literature at the National Association of Teacher’s of English, UK; the International Association of School Librarianship, the International Reading Association and the Association for Supervision and Curriculum Development. She has frequently participated as trainer/consultant in writing workshops for both writers of children’s fiction and textbooks, in Jamaica and the wider Caribbean. to write books about us, people who looked like us and lived like us. I longed for this. And then when my two girls were little, I realized that this person could be me. There was nothing for them to read that represented them. There was a particular Enid Blyton book ( a British children’s author) in which there was a golliwog, which was a doll depicting black people, a caricature really, and he was always the one giving trouble or getting into trouble. A subtle but significant message. My older daughter, was then only about eight, and she remembers feeling uncomfortable about this. Our story book heroes were still the golden haired girls and princesses. I had to write children’s stories so my children, all our children would have books reflecting positive images of themselves. However, my journey is not only a story of my writing for children. It became a journey as a children’s writer with a passion for raising the consciousness, here and in the Caribbean region, of the importance of our own children’s stories to validate our children and their lives. Children must see themselves in books. My actual writing journey began on a project for the Ministry of Education. The project was to write supplementary readers, the Dr. Bird Readers, for our government-run primary schools (elementary schools), which the majority of the children in the island attend. This was in the late 1970s early 1980s, and it was revolutionary. Story books which featured snow, ice skating, sledding and firesides and chimneys were presented as the norm for children, who lived in a country which was hot all year round, where beaches and palm trees and towering green mountains and tropical vegetation were what they saw. When our writing team went into schools to meet our target audience, we discovered that the children thought that all writers were either foreigners or were dead. The Dr. Bird books changed this. They are still in schools, and even now, I run into adults, a policeman, a nurse, who remember favourite books from that series. My most recent experience was last year with a team interviewing at risk youth, ages 15 – 20, all male. When asked what books they could remember reading, we got the not unexpected looks of astonishment. How could anybody expect them to remember a book? And then they began to recall books they had read in school and call out their names – books I had written. (Discovery): And I replied, “Yes, is me write it.” Creole is often used to express surprise, a familiarity one with the other. Grins and laughter all round. We were one in this delight of writing and reading our own stories. These were their story books. These are what they remember. and Fortune. This was also published in the USA in a library series called Passports by Harcourt Brace and Company. Although I had only used Creole structures in the dialogue, and very modified ones, the American edition totally changed those so that a folk song in the book, the first line of which read , ‘Oh Cordelia Brown, whe mek you head so red?’, became ‘Oh Cordelia Brown, what makes your hair so red?’ Nonetheless, I was thrilled that there had been an American edition; at the recognition. And I was fortunate to be part of a Student’s Encounter Programme for the Miami Book Fair where we were able to sing the original version of that folksong. Cordelia Finds Fame and Fortune, is about a little girl who is teased because she has red hair with dark skin, an anomaly. That was connected to my younger daughter’s experience, although I did not realize that that was my inspiration then. Our passions inform our writing journey even when we aren’t looking. My journey has taken me from picture story books to ‘tween’ books, two Time Travel novels in which the protagonists go to historical events in our past,( because we can do time travel too just like people in big countries); and to my most recent book, a novel in the YA genre, Island Princess in Brooklyn, published by Carlong Publishers, Jamaica, 2011. 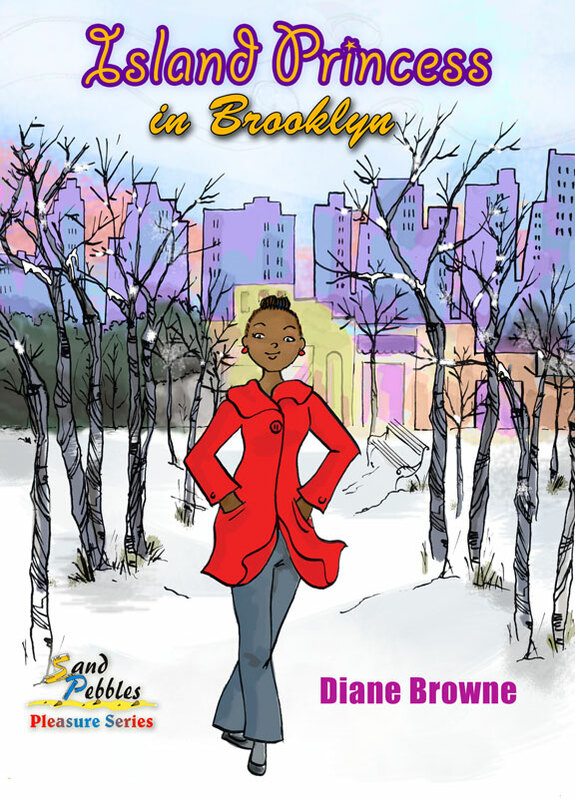 ISLAND PRINCESS IN BROOKLYN is a coming of age story of a 13 year-old protagonist, who reluctantly leaves her Granny with whom she has grown, to join her mother in Brooklyn. Princess has to adjust not only to a mother she barely knows, but also to a stepfather she never knew existed, a new country and a new school. Did this back story begin with my 15 year-old self who went to visit them, and had such a magical time discovering more family, and Radio City Music Hall, and the United Nations (where she planned to work when she grew up) that she fell in love with New York? Did that girl reach out across the years to Princess? Or was the genesis of the back story more in the present? Some few years ago when my older daughter was in New York as her husband was doing a fellowship at a hospital in Brooklyn, I went up for the birth of my two grandchildren. And I fell in love again! Big time – with Brooklyn; the Brooklyn of migrant peoples and old-time houses turned into apartments buildings, laundromats where people who did not speak English helped you anyway, dollar stores, grandmas watching children in small front yards, old men sitting on steps in the sun. Different ethnic groups, all there working for the American dream; I saw their lives, our lives. I was dizzy with joy! I would have written an ode to Brooklyn. Instead Princess McQueen turned up and said, ‘Tell my story’. I wrote in the first person, so it is Princess’ voice we hear. By the end of the story, Princess grows to discover that it may be possible after all to love both Jamaica and New York, that family, may not be perfect – but they are family. children left behind here are often called ‘barrel children’ because of the barrels of goodies sent home by the parent, ‘evidence’ of their love and success. Many have told me how much they love this book; women from cultures as different as Puerto Rico and Uganda said it speaks to them of their lives, the dynamics of their families. They recognise the various levels in the story, including that of the women in a family. In this novel there are three pivotal female figures circling around one another, Princess, her Mum and Granny. As Princess’ Mum says about the relationship to Granny: She was my mother before I was your mother, she was my mother before she was your grandmother. We all belong to each other. Nothing can change that. However, the character who has the greatest impact on Princess’s coming to terms with her new life is an African American boy. I didn’t plan that; he just stepped forward and played that role. or return home. Is this back story then part of the journey, a journey in which I am now able to look outwards from our island to our people overseas? This circle of family, of story, fills me with wonder. Diane Browne has won awards for her children’s stories/books in Jamaica, including a prestigious Musgrave Medal for her contribution to the field of children’s literature from the Institute of Jamaica. She also won the special prize for a children’s story in the Commonwealth, (a worldwide association of countries) from the Commonwealth Foundation, 2011. I was inspired by the West Indian writers of adult fiction like Sir V. S. Naipaul, Samuel Selvon, Edgar Mittelholzer, John Hearne. They were telling our stories, stories I understood about people whom I recognised. This was the understanding and recognition in literature that I wanted to bring to our children. In contemporary children’s literature I was inspired by the American Judy Blume, especially her book Are You There God? It’s Me, Margaret, as she presents us with the multi-faceted characters of real young people; Tom’s Midnight Garden by Philippa Pearce and Alison Uttley’s A Traveller in Time led me to a fascination with time travel, made me want to create time travel for my people. I suppose everything I read and liked, urged me onwards to create our own stories. In the Caribbean we need more opportunities for publishing of children’s books, and more people buying books, but too often disposable income is limited. Moreover, foreign children’s books undersell local books because of their economies of scale. Nonetheless, I do not think that indigenous literature gets the support of our education institutions which our children and our countries deserve. I’m delighted that there are more and more African American children’s books. That these books, as well as Black British books are also available to us, is a good thing. They provide our children with images of children like themselves, even if there are cultural differences. What I would love to see is Americans being interested in children’s material from the Caribbean. The Brown Bookshelf by affording me the opportunity of writing this blog, has highlighted us, and I thank you. I write as the spirit moves me, as the characters appear, as a story set in a place or time calls out to me. I have no set pattern and often I’m thinking when next I’ll get the time to write while I’m doing other things. I usually write an entire story and then rewrite, edit, etc. over a period of time. If it’s a novel, the first draft is always done before I return to any specific thing within the story. Then I grow my story in layers. Thank you so much, Ms. Browne! I love thinking of growing a story in layers. (*And* it makes me think of cake, which I also happen to love.) 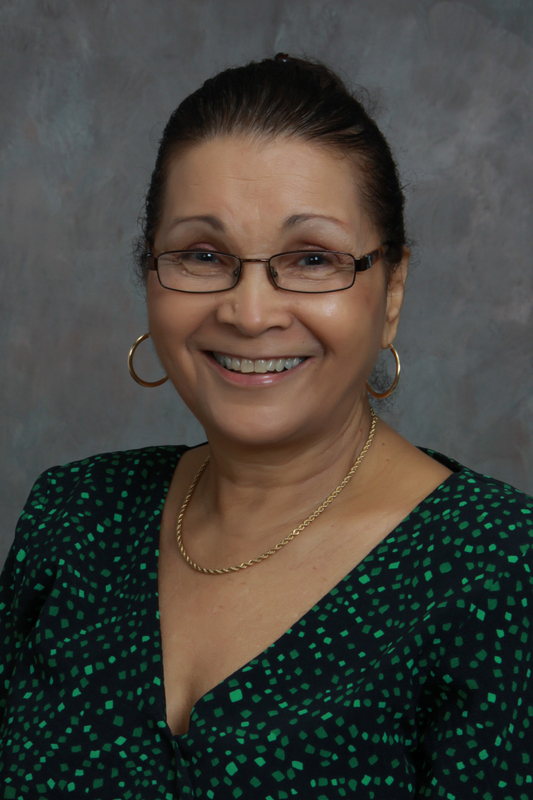 Readers, visit Diane Browne’s blog for more about her extensive work, and a wealth of resources on Caribbean children’s literature! You can also read an excerpt from ISLAND PRINCESS IN BROOKLYN over at Anansesem Magazine. Isn’t that the truth – that our own lives inform our stories, whether we notice or not! ISLAND PRINCESS looks like such an enticing book – I love the cover, and the concept as well. I just requested a copy via interlibrary loan. A riveting blog Diane. I now know “Island Princess in Brooklyn” inside out. It really is a “must read” for all Caribbean tweens and those in the diaspora.. Keep on writing my friend! A blog written by one of our foremost children’s authors Diane Brown about her journey as a writer. So true, we do belong to each other. I love seeing a Jamaican on here. We really are a talented people. I recently published my first children’s book called “Irie the Caterpillar”.I hope one day I’ll be as successful as you,Ms.Diane Brown.